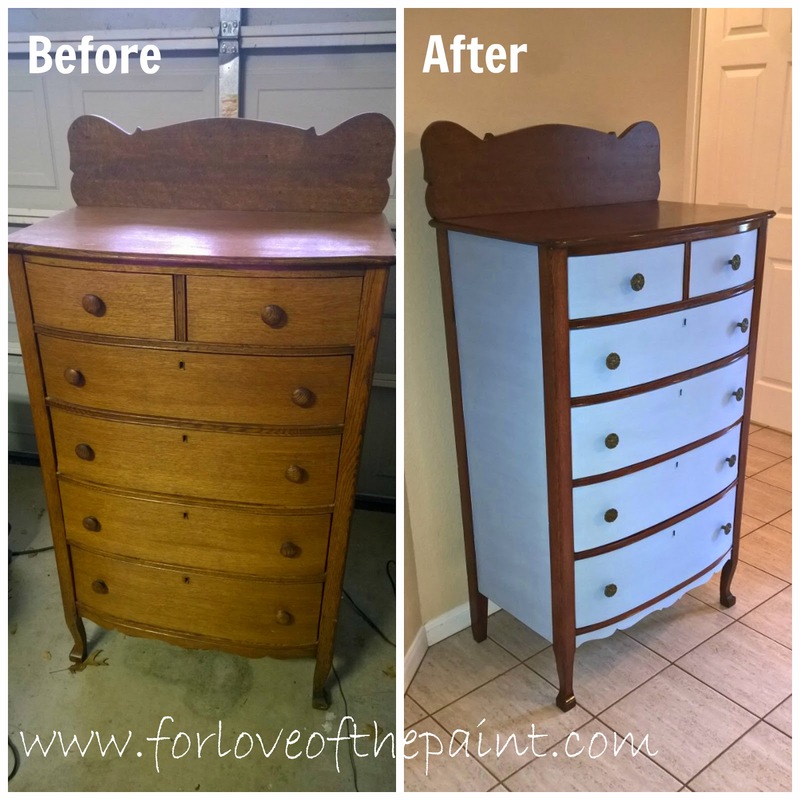 This lovely antique oak chest of drawers was purchased by one of my clients at an antique fair nearby, and when she found the 9-drawer dresser I'd done in Annie Sloan Louis Blue Chalk Paint( See it here! ), she thought this might be a perfect pairing! I'm super excited to have beautiful results to share! I used an antique finish stripper and fine grade steel wool to remove the original finish, with a very fine sanding, so as to leave the original grain of the wood intact. After stain and polyurethane, I taped off the sides with a gentle-grade painter's tape and completed the side panels with paint and wax. Gorgeous, n'est-ce pas?